The members of SLPS met on Saturday, May 7, 2016, to honor the goddess and mothers for Mother’s Day. 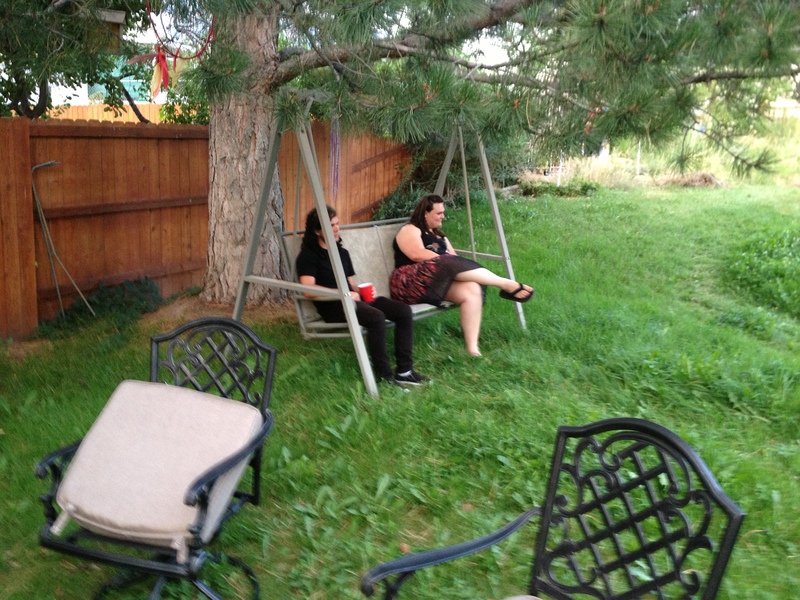 The ritual began at 9pm, under the stars and damp earth. Hathor was pleased, the goddess of Mothers from Egypt. She accepted the offerings of home made dark fudge chocolate cake and strawberry lemonade. As a goal for the new moon, the coven decided to learn quilting, using pieces from old clothes to provide quilts for the needy, reduce waste, and as a fundraiser for the society. 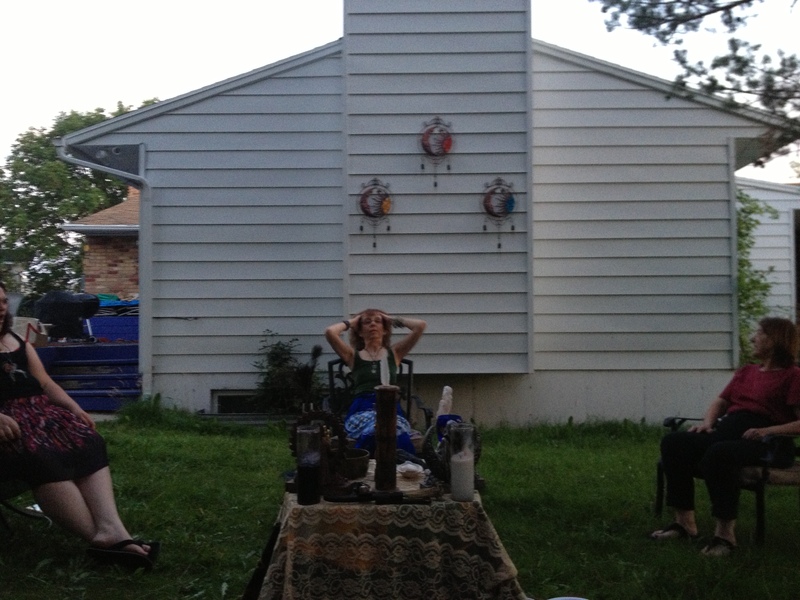 Thanks to all who came and joined in the July 2013 Full Moon ritual on Saturday, July 20, 2013 at 8pm. Being such a wonderful evening with a warm breeze, crickets and birds chirping and the setting of the sun in the west behind the Oquirrh Mountains, a small altar was set up outside. Iyata Bond led the ritual and instructed everyone in the beginnings of the Women’s Mysteries. The ritual was opened with the usual LBRP, Rose Cross and Thor’s Hammer. 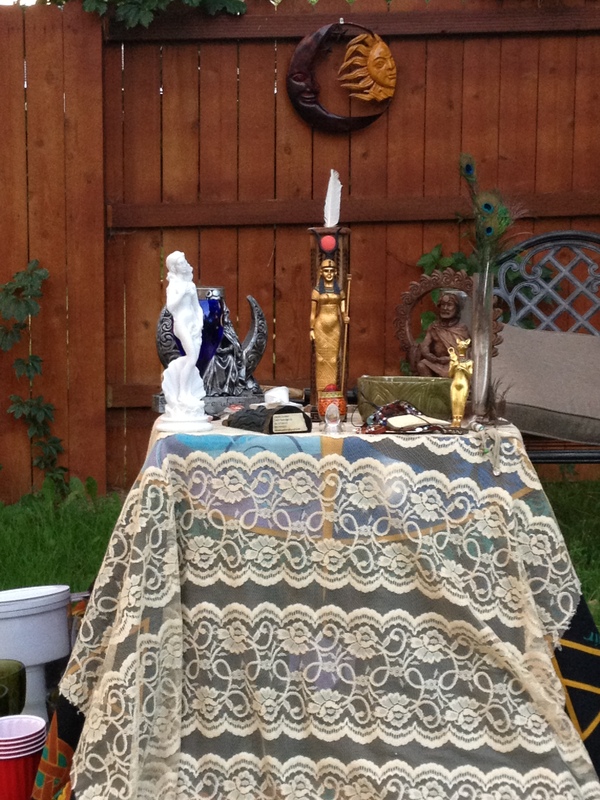 Blessings from the Moon Goddess on the objects was performed, along with healing and other spell workings. A special scepter dedication was done by President Muad’Dib for his new Medusa scepter. Cakes and Wine were passed around and a special coconut cake was eaten as the late night snack. Next up Lughnasadh!